Waterford Marine Search and Rescue would like to extend our utmost gratitude and thanks to Cen Breathnach and all the DoneDeal.ie team for this amazing donation of €12,505 to our organisation. With this contribution, we can provide our volunteers with new life jackets and Fladden suits to continue to safely carry out our suicide prevention patrols here in Waterford City centre. This will also be a massive boost in our journey towards establishing a 24/7 base in Waterford City. As well as being a training centre, this base will give the family and friends of a missing person somewhere safe to rest during a search, so they can be updated with events as they unfold. 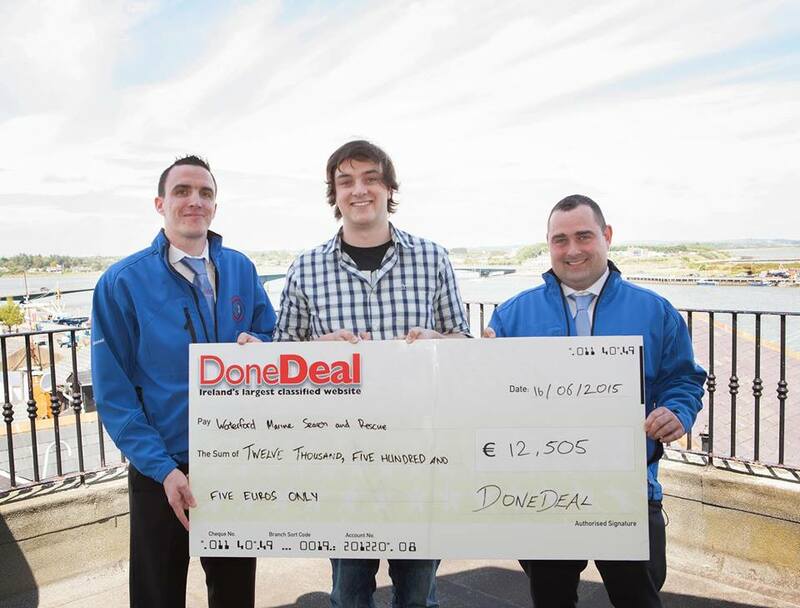 L-R: Eamonn Russell ( WMSAR ), Cen Breathnach ( DoneDeal ) and Ger Condon ( WMSAR ).